Amps are at least half of the vintage tone equation. 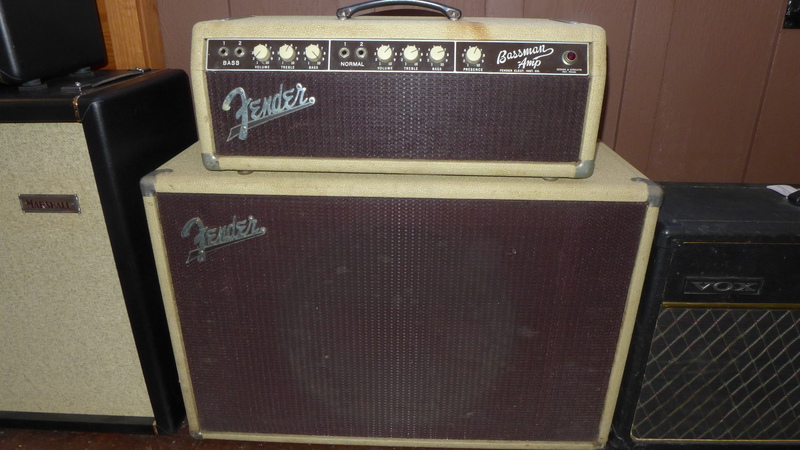 If you have a killer guitar, you need a killer amp. 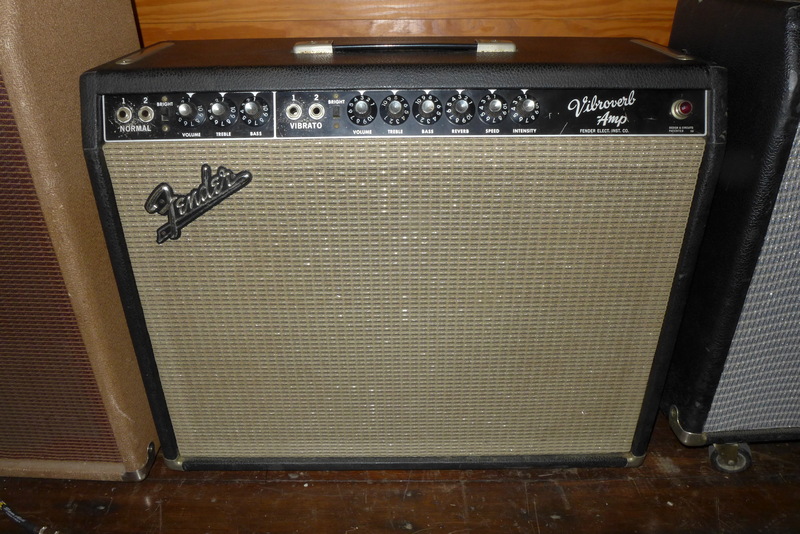 I am partial to Fender tweeds, especially narrow panels and early Marshalls if you have the space and no neighbors. I also like most of the blackface and some early silver face Fenders. If you want something in between, I usually have a few brown face Fenders as well. Other makers like Vox, Gibson, and Selmer show up from time to time as well. No returns on amps. Stupid clean 66/67 Park 50. 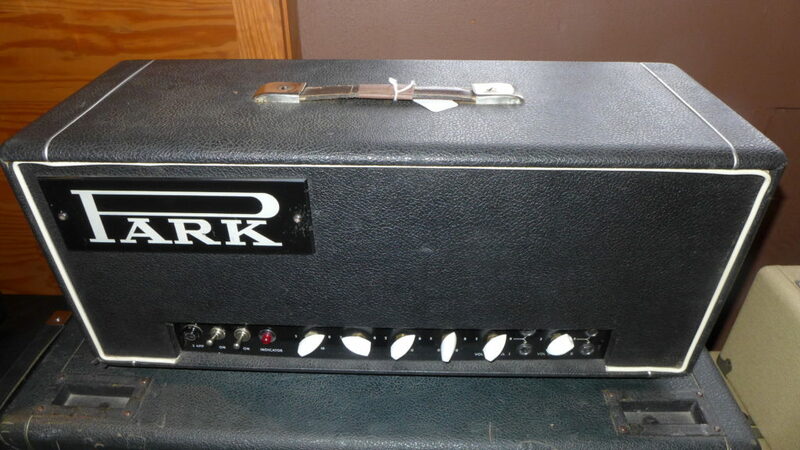 This one is transitional -it has a tube rectifier so it’s essentially a black flag JTM50. Knobs are repro. Everything else is original. It is currently set up for KT66’s. It can be set up for EL34’s easily. $6800 head only. I am no longer listing parts individually. I have tons-nearly everything you could need for 50’s and 60’s ES models and some arch top parts as well. If you need something just email me and ask if I have it. Keep in mind that real vintage parts can be stupid money. I don’t set the market prices-the market does. There are lots of great repro parts out there, so check those out before you spend $250 on a switch tip (or $1300 on a pick guard). I almost always have 50’s and 60’s tuners, bridges and PAFs available. Some pick guards, truss covers and knobs. 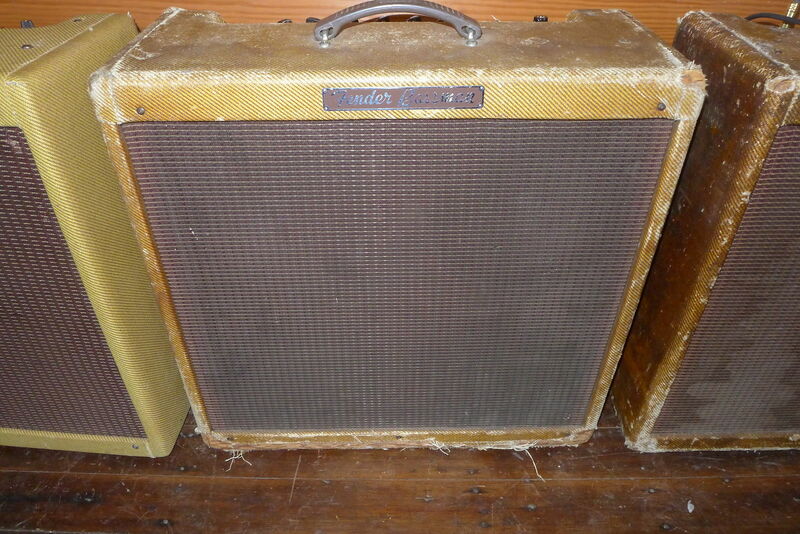 If you need something, just send me an email at okguitars@gmail.com or call 203 858 0098. I just like the valuable info you supply in your articles. I’ll bookmark your blog and test again here regularly. I am fairly certain I’ll learn lots of new stuff right here! Best of luck for the next! 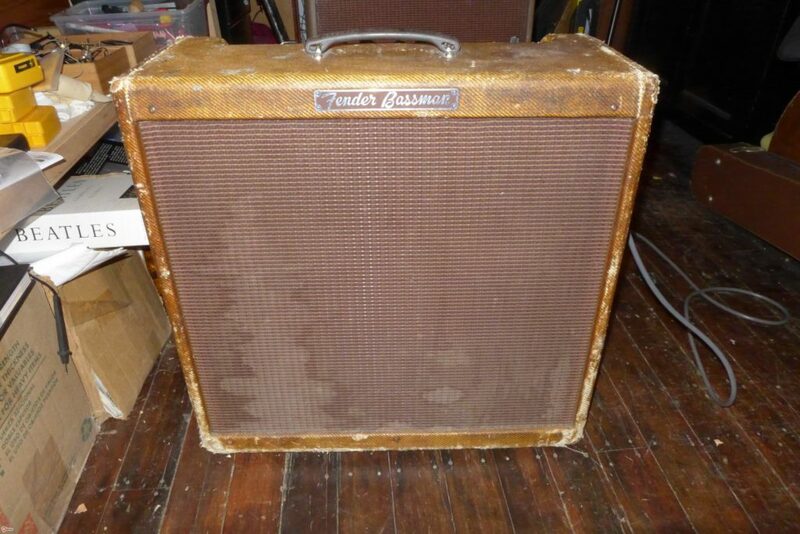 Wow, I’ll bet that Tremolux sounded great…the blonde and brown era Fenders are wonderful and under appreciated, overshadowed by the blackfaces. 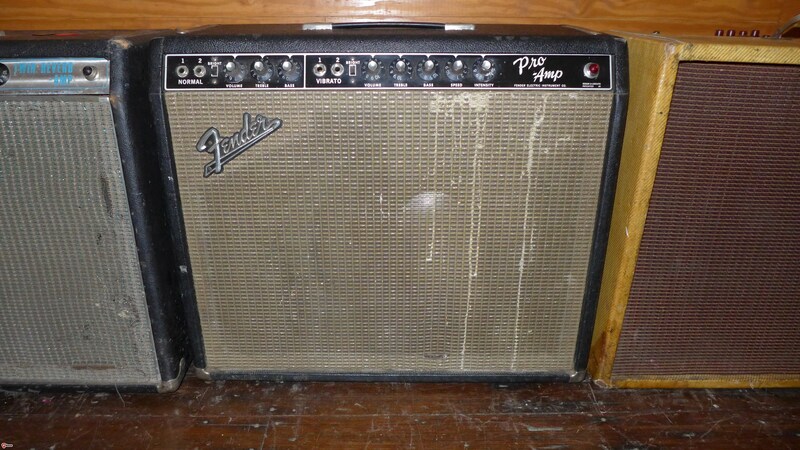 It sounded great but it didn’t sound much like a Fender. Brighter, chimier and more touch sensitive than the usual blonde. I’m sure the EL-84 tubes had everything to do with that. 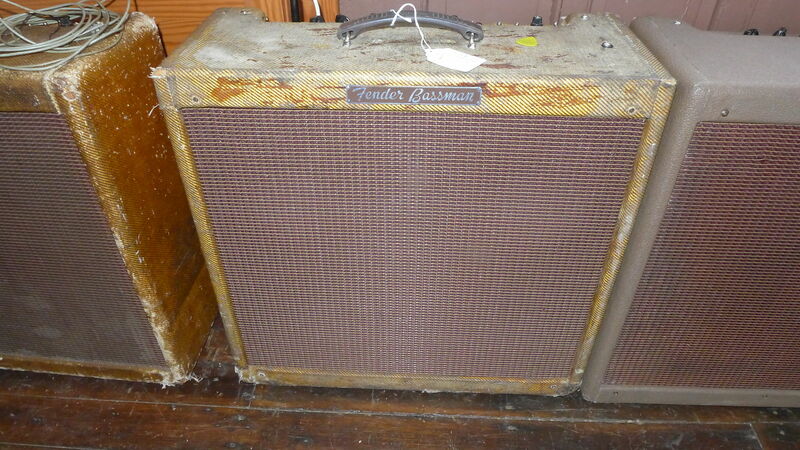 It’s the only Fender amp ever to use them -and not for long. It also wasn’t very loud. Perhaps 15-18 watts. That’s all you get out of a pair of EL-84s. The stock speaker was a piece of crap (Oxford) but it sounded a lot better with a vintage Jensen P10Q. 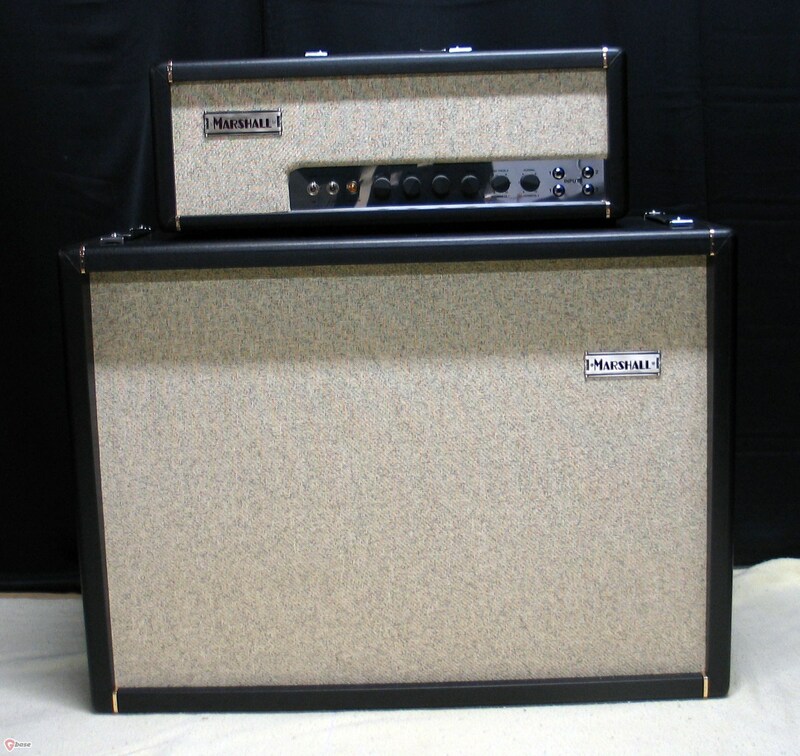 Years ago I had a Deluxe that sort of looked like the one you sold handed down to me by my father after he bought a new Twin Reverb. 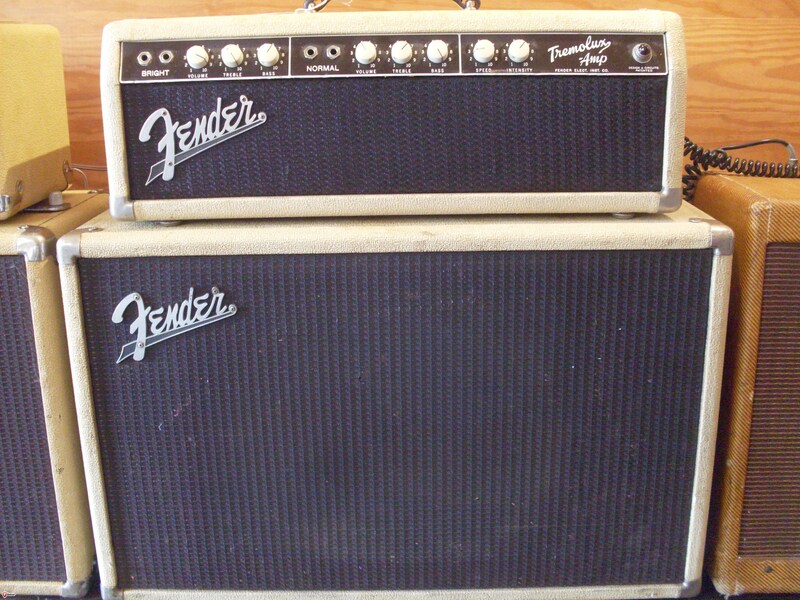 I flew and drove from coast to coast several times with that amp and finally sold it in the late ’80’s. While living in San Diego in ’73, the original handle broke and a friend who was a veteran tuna boat fisherman made a special seaman’s rope work handle that was on it when I sold it. Hopefully, its still on there so if anyone sees it, tell it “Hi” and that I miss it. 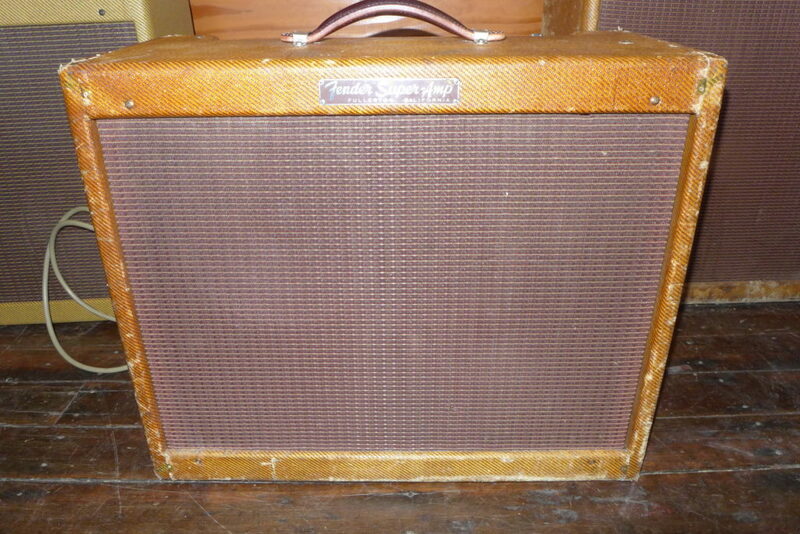 Nothing like a tweed Deluxe. I’ve had my “beater” 55 small box for years (and I don’t keep anything that long). I’m sure yours is still out there somewhere. The only thing my father ever handed down to me was a humongous Mercury Marquis that got about 6 miles to the gallon. How do I purchase some of your items? Do you have an email or phone #? I don’t but you see them on Ebay once in a while. I will check it and get back to you. What is the cost of one of your Bigsby B7 Aluminum 1960-1969 Vibratos. Do any of them have a 3 hole hinge plate.? Wanted for a 1968 Les Paul Gold top. Hi! How much are you asking for the `63 335 Wiring harness? You wouldn’t put a 61-64 guard on an 80. It most likely won’t fit and they are different than the later ones (bevel edge is different). You can get a vintage correct one for your ’80 for around $75. Why spend $300+ for one that’s wrong? Sorry for duplicate comment. I didn’t think the first one got posted. Tough part to get. I don’t have any. There is a guy on Ebay with repros but he wants a lot for them and won’t sell just the nut.I’ve used the nut from a trapeze tailpiece as a substitute. I have a pair of sealed nickel cover PAFs. Price is $5500. I can ship to UK. Do you still have the 355 pickguard for sale? I’m looking for a tailpiece that would fit an ES 125 T, same type as es 330 TP I guess. How much should I spend ? Thanks for taking Care ,Bernard. Thanx for the info Charles, hope your site will last as long as me!!!! Do you have by any chance a late 40’s early 50’s wiring harness ,for archtop or ES150 type of guitar. An original capacitor would be appreciatd but I can do without it. I’m sorry, I do not. Earliest harness I have is a 59. 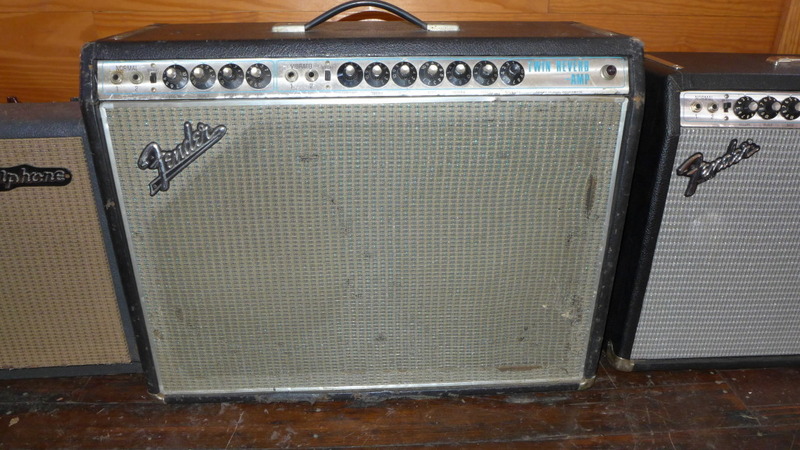 I am looking for some period correct tuners for my 66 ES-335. To replace the crappy repo’s I have on there now. Do you have any? Or, suggestions of where I can find some?